Jessica Paoli is a designer like you and me. She takes care of her toolbox with useful bookmarks, although she’s weeding out more than she’s sorting in. On her Github page on the project, Jessica says that just because a service exists, this doesn’t mean she’d recommend it. Of course, she admits that her list is a product of her own opinions and beliefs. However, she claims to pay close attention to quality, so she wouldn’t inflate her list in favor of quantity. 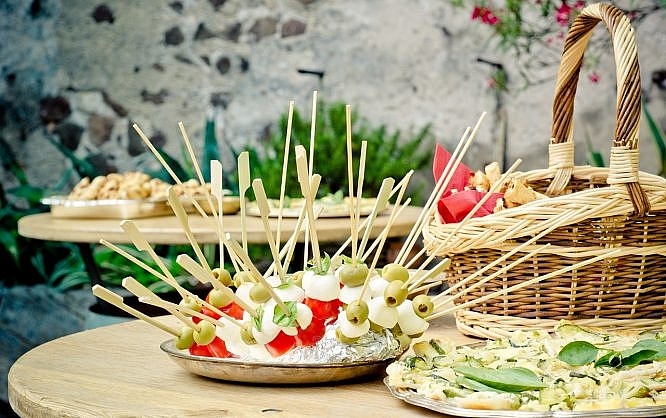 The collection that you can find under Design Resources Party is a recommendation list that has grown over many years, and Jessica has previously only shared it with her close colleagues. We’re lucky that this experienced colleague of ours now chose to make her recommendations publicly accessible. The collection under the above-linked party domain is identical to her Github list. The first one looks better though. Good thing she didn’t stick to her previous format as a Google Doc. Adding to the resource collection via Github is asked for explicitly. Whether the respective suggestion is actually included in the list, is up to Jessica’s editorial decision. Jessica doesn’t think of resources as a collection of as many templates as possible, as known from other places on the web. Instead, she tries to give recommendations on various topics that we face in our daily design routine. 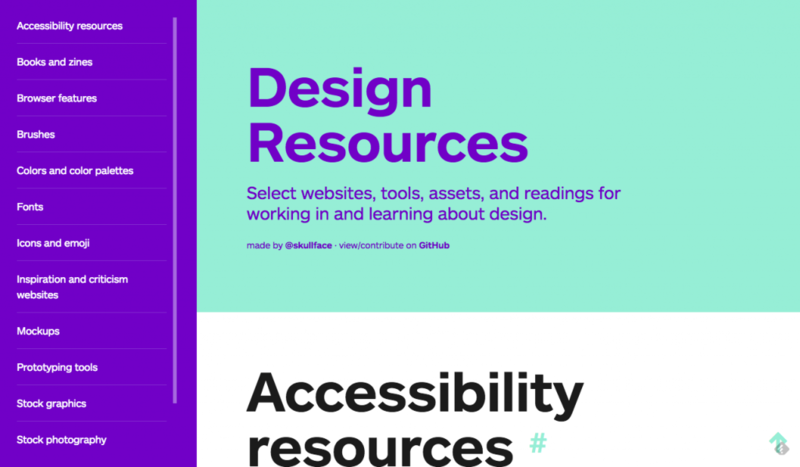 Here, you’ll find tips on accessibility as well as design books and magazines worth reading, or websites that want to inspire. Of course, Jessica also provides you with tips on good stock material and important tools. The website for the collection is pretty much a one-pager, but you can directly access its individual segments using the navigation on the left. The individual elements are equipped with brief descriptions and links, which take you straight to the respective website. Although I can’t really get behind the association with a party domain, the collection is still impressive. Even long-time colleagues will find recommendations they didn’t know before. Thus, take Jessica’s list as a significant boost to your bookmarks.